Vets North cater to all your dog grooming needs. Our centrally-located Waimauku grooming facility is rurally situated in the heart of West and Northern Auckland. Vets North have over 50 years experience in caring for your dogs – meaning you can be assured we follow strict veterinarian guidelines when it comes to dealing with the safety, cleanliness and care of your beloved household pets. We specialise in both dog and cat grooming and our facilities are purpose-built to maximise the comfort and cleanliness of your pets. Our environment is clinically clean, sterilised and designed to minimise stress on your pets. 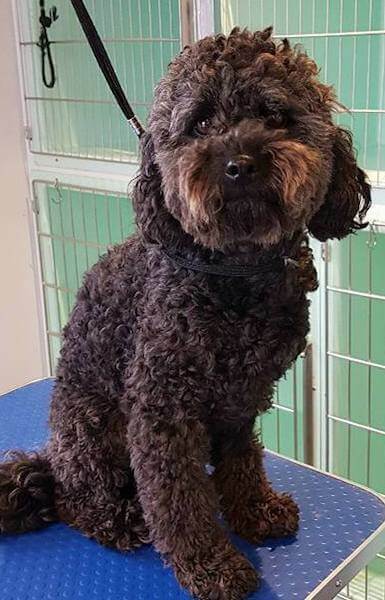 With many years of experience working with dogs, spanning multiple generations, Vets North have a stellar reputation across all of Auckland. Our vets and staff are known for their passion, love and care when handling and tending to our clients animals or pets. All of our clients pets are handled as if they are our own and we assure the safety and comfort of every animal that we tend to. We offer a variety of dog grooming options, that vary depending on the requirements of your dog. We cater to all breeds, sizes and coats of both dogs and cats. We use environmentally safe and natural shampoos, which meet your fur baby’s PH levels, however we welcome you to bring your own. 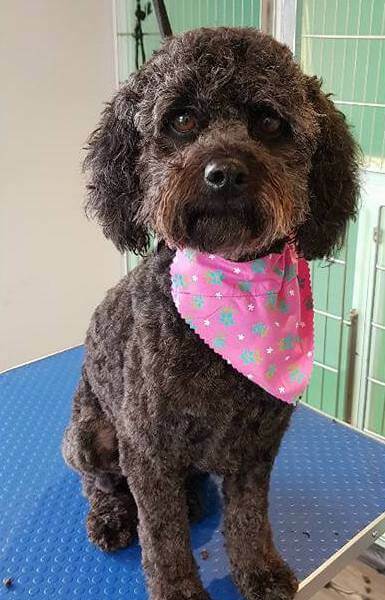 Our dog grooming services include washing, brush out, face trimming, feet trimming, full body cuts/clips, nail trimming, ear cleaning. We also offer grooming services for your kitten or cat and include bath washes, hair cuts, nail trimmings and hygienic ear cleanings. Our grooming station is situated at our Vets North location in Waimauku, West Auckland. The address is 1 Sarah Todd Lane, Waimauku, and is situated directly across from the primary school. 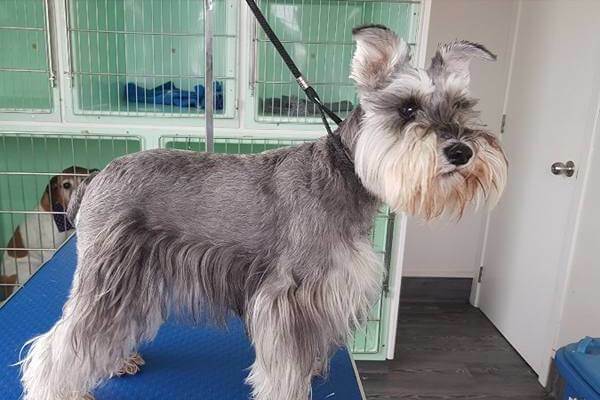 Our grooming prices are extremely competitive and affordable, where prices will range depending on the length, coat, breed and grooming options you require. Prices start from $50 however you can call us on 09 411 7575 for a quick estimate. Although the frequency varies mostly on the dogs breed, type of coat and living conditions, at least some form of grooming should be performed every 1-2 months. That said, it important you don’t bathe your dog too often, which is usually considered more than once a month, as this can cause their skin and coat to dry out, which can lead to an array of other problems. Is My Dog Old Enough to be Groomed Professionally? Although there is no set age limit to start, it is generally recommended to wait around 10-12 weeks of age, or after their second round of vaccinations until taking your puppy to a professional groomer. 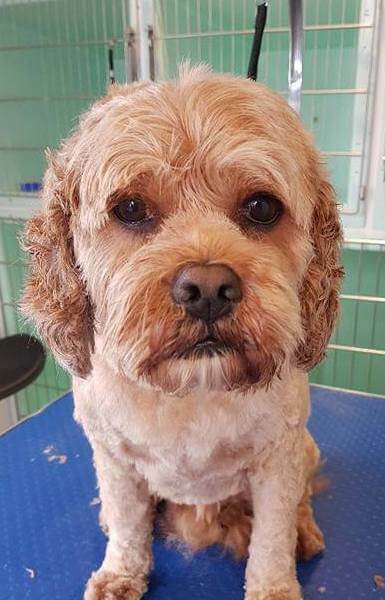 That said, taking your puppy to a groomer early will have benefits on their grooming experiences for the rest of their lives, as it prepares them for the regularity of the habitual grooming process. It is also recommended that younger dogs or puppies have been groomed or bathed at home first before their first experience with a professional grooming service. 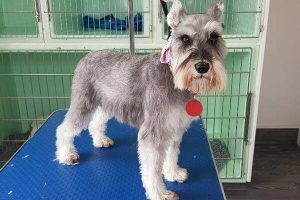 This is to ensure the dog becomes somewhat familiar with the grooming process and helps to reduce anxiety and stress for when you leave them with a professional. What types of Shampoo do you use? We only use the highest quality shampoos and conditioners for your dogs. All of our products are hypo-allergenic shampoos however if your dog requires a special type we’re more than happy to accommodate this – you can even bring your own. This will once again depend on the type of grooming required, however our professionals will generally be able to complete a full groom within 2-3 hours. That said, times can be much quicker if you call ahead and organise a specific time with us. Do You Cut My Dogs Nails and Clean the Ears? Yes, we offer nail clipping on all types of dogs. Regular nail clipping is very important for your dog because long nails can lead to several issues such as joint problems. It also makes your dog susceptible to painful broken or split nails, which can lead to infections and further medical costs down the road. What Does the Grooming Process Entail? Brush – Helps to remove any mats or tangles, making for a more effective and thorough bath time. Wet the Coat – Watering your dogs hair and skin starting from the neck area, down the back and sides and all the way down the tail. Washcloth – A washcloth is better suited to cleaning the head, face and ears of your dog as most dogs tend to have more sensitive skin in these areas. Shampoo – Shampoo is then applied into your dogs wet coat, and massaged in. Rinse – After a thoroughly massaging the shampoo into the coat, we will gently rinse all of the shampoo out. Conditioner – We then apply a gentle hypoallergenic conditioner to the dogs coat, let it sit for a few minutes and then wash out. Towel and Dry – Now that your dogs clean as a whistle, we’ll dry them off. 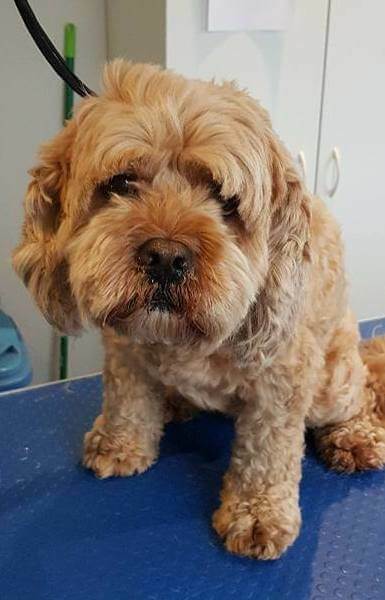 Treats – It’s important that dogs continue to view the grooming procedure as a rewarding experience so we are committed to providing your dog treats and heaps of pats along the way, ensuring your dog continues to love bath time.